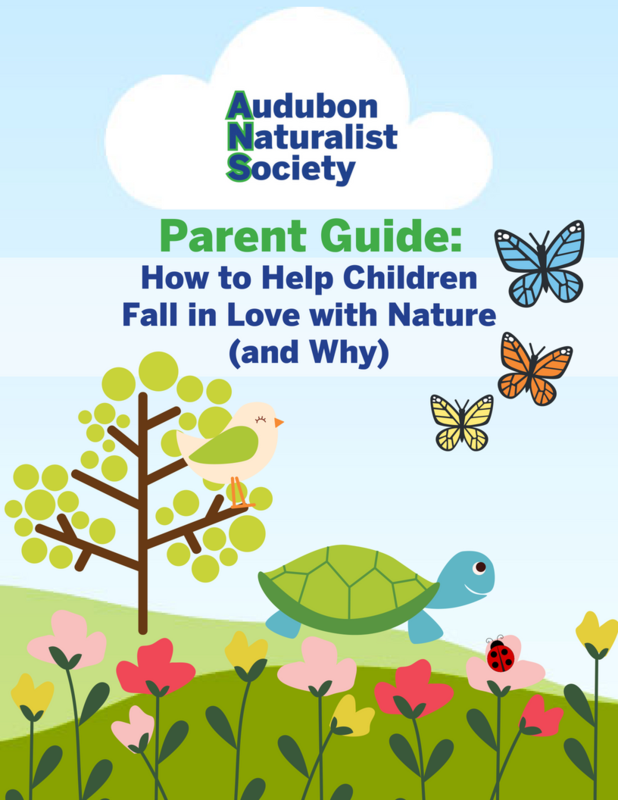 Help Your Child Learn to Love Nature! Download our FREE parent guide by clicking the image below. Make the most of school holidays and days off by “unplugging” and getting your children outside in nature! Our students spend every day outdoors, rain or shine—in fact, wet and rainy days provide some of our most magical experiences. They put what they learn about science into practice each day through such activities as identifying bugs, insects, plants, and birds. They also practice and build on their engineering skills by building dams and forts and enjoy the world’s best recess by climbing over logs and playing in leaves and mud, if they choose to! 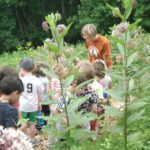 Our curriculum emphasizes children being in the moment, engaging with the environment in deep and meaningful ways, and exploring through all of their senses. Ultimately, they become more committed and sophisticated caretakers for the Earth. For more information about Audubon Nature Preschool, contact Preschool Director Stephanie Bozzo at (301) 652-9188 x32. First Saturday of Each Month - Weekend Walk in the Woods Join our Master Naturalists on the first Saturday of each month from 9-10am for a nature hike around Woodend Sanctuary. Join our Master Naturalists on the first Saturday of each month from 9-10am for a nature hike around Woodend Sanctuary. Each hike will have a unique and engaging natural history theme. Programs are appropriate for members of all ages. Please come prepared to hike in sneakers, and don’t forget your water bottle. Meet at the gazebo by the main house. 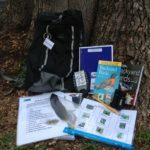 Visit our Naturalist Shop to check out a backpack (ID required) that will have tools and activities you and your family can use to explore nature at Woodend Sanctuary. Backpacks are free for check-out in the shop but must be returned by 4:30pm. Shop hours are M-F 10-5; Sat 9-5; Sun 12-5. The Nature Backpacks are made possible thanks to the generous support of REI and the Chesapeake Bay Trust. A nature-themed birthday party at Woodend Sanctuary is a perfect way to provide a special memory for your child while also supporting the conservation work of ANS. Spend an hour with a naturalist exploring nature & enjoying nature-themed activities and games, and bring your own party refreshments to enjoy afterward in our Teale Learning Center classroom. Note: You may arrive 15 minutes before this window to set up and stay 15 minutes afterwards to clean up. For up to 14 children: $230 for members; $265 for nonmembers (includes a one-year membership to ANS). Additional child: $15 per child up to a maximum of 18 children. Maximum number in the party room is 26. Explore nature in your school yard with one of our naturalists! Our afterschool clubs focus on hands-on outdoor nature exploration and play. Explore nature in your school yard with one of our naturalists! 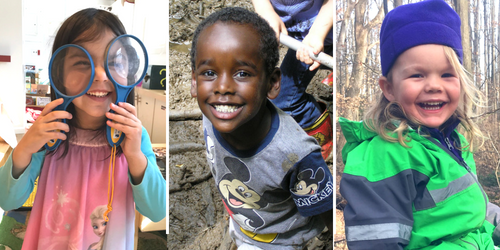 Our afterschool clubs focus on hands-on outdoor nature exploration and play. We cover different seasonal topics and stay active with themed games. Grade-level, dates, and times vary by school. Contact Nora Kelly for more information – nora.kelly@anshome.org; 301-652-9188 x15. Children are born naturalists! Foster your child’s inherent curiosity about the natural world by sharing in hands-on, nature-based activities. Our Fresh Air Kids class is for children ages 5 and younger along with a parent or caregiver. Classes might involve crafts, songs, books, and always a hike. Bring your lunch or snack. Mingle and meet other caregivers! Reserve your space by registering below, then send a check made payable to ANS and mail to ANS, Attn: Pam Oves, 8940 Jones Mill Rd., Chevy Chase, MD 20815. Image credit Karen Steffel. 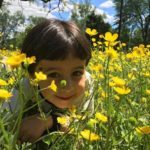 This 10-week class invites young children to discover the wonders of nature as we journey through the changing seasons. 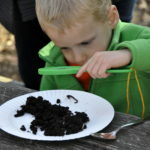 We’ll tap into children’s deep connection with nature by reading stories, making fun crafts, and singing songs. Make sure to dress for the weather as each class we will explore our Sanctuary trails to see what new surprises we can find. Feel free to relax and enjoy our trails, picnic areas, and bookstore before or after the program. Register online here: https://anshome.org/tales-trails/. 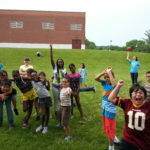 Camp Audubon provides day, travel, and overnight camps for families in the DC metro area. Located on a 40-acre nature sanctuary, our camps provide high-quality environmental science education and good old-fashioned camp fun! 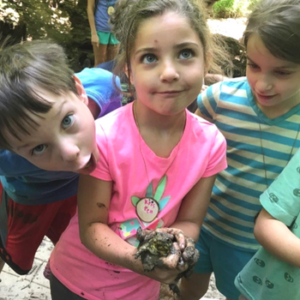 All camps are taught by experienced environmental educators, maintaining a child-teacher ratio of 8-1. Camps run from 8:45 am to either 3 pm or 4 pm with an extended care option until 6 pm. For questions about the summer camp program, including camp-specific inquires, accommodations for special needs, medical issues, and scholarship information, please call Nora Kelly (June Bug), the Camp Director, at (301) 652-9188 x15.